In a pan pour a little oil, place the duck breast with the part of the skin facing down. Turn the pieces, add salt, pepper and thyme and continue cooking for five minutes. In a saucepan add ASTI Docg and the pitted cherries cut in half. Bring to a boil, over a moderate heat and cook for about 20 minutes until syrup is obtained. Pour the sauce into the center of the plate, slice the duck breast and put it over the sauce brushing it with a little honey. 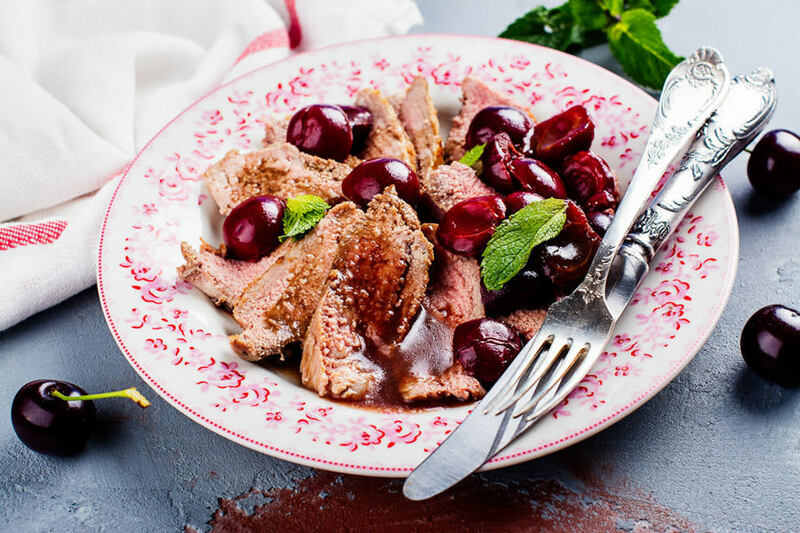 Decorate with cherries, garnish with the sauce and serve.